Since Children's Hospital Oakland became affiliated with UC San Francisco, resident physicians in the East Bay have questioned why they can't get the same support as doctors across the bay. Bert Johnson Resident Ana Liang said Children's Hospital Oakland should have a patient care fund. In January, Children's Hospital Oakland announced an affiliation agreement with UC San Francisco that enabled the two institutions to form the largest network of children's medical providers in Northern California. Then in April, after receiving a $50 million donation from the San Francisco-based philanthropists Lynne and Marc Benioff, the East Bay hospital officially became "UCSF Benioff Children's Hospital Oakland." Although the Oakland hospital, which had previously been a standalone institution, now shares the same name as its counterpart across the bay — UCSF Benioff Children's Hospital San Francisco — the affiliation is not a merger, meaning the two partners still maintain some financial independence. But as the hospitals have continued to promote their alliance through advertisements splashed across the Bay Area, a group of resident physicians in Oakland has grown increasingly frustrated with a number of disparities in how the now-affiliated institutions support their doctors. And in some cases, the imbalance extends to investments in patient care, critics say, with the East Bay getting an unfair bargain. These tensions have boiled over in an ongoing labor dispute between the management of Children's Hospital Oakland and the Committee of Interns and Residents, the union that currently represents 88 resident physicians and three emergency medicine fellows. The committee, which is part of the Service Employees International Union (SEIU), has been in contract negotiations with hospital management for more than eighteen months, fighting for a cost-of-living pay increase and for a hospital-financed "patient care fund" that would allow resident physicians to purchase new equipment and help the uninsured access expensive medications and supplies. In their negotiations, Oakland resident physicians have been pushing for contractual provisions that would bring the hospital closer to the investments made in the parallel physicians' program in San Francisco. But after sixteen bargaining sessions, including four with a federal mediator, the two sides have reached a standstill. Resident physicians recently took a vote of no confidence in the hospital's lead negotiator, Konard Jones, vice president of professional and support services. The union also filed an unfair labor practice charge with the National Labor Relations Board, alleging that the hospital has failed to negotiate in good faith. "It makes me question how strongly the hospital believes in its own mission," said Sofia Kerbawy, a second-year resident physician at Children's Hospital Oakland. "If the hospital's mission really is to care for the underserved, then why aren't they supporting residents? We're the face of the institution. We're there at the bedsides." 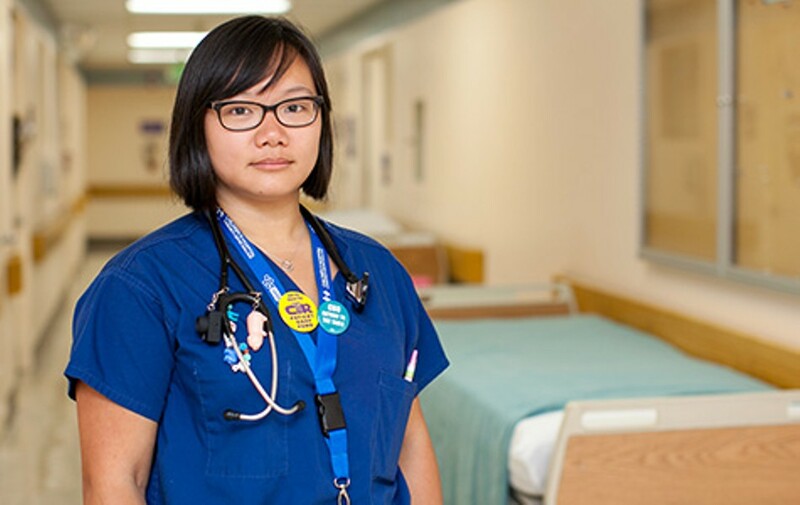 While the dispute over salaries offered in the three-year residency program is a critical sticking point, it is the fight over the so-called "patient care fund" that could have broader implications for East Bay families that depend on the hospital. Oakland resident physicians — who are recent medical school graduates, some struggling with massive student debt — currently make $51,979 their first year, $56,160 their second year, and $60,778 their third year. According to Asella Donovan-Blood, Northern California area director for the Committee of Interns and Residents, the union most recently asked for a one-time bonus of $2,250 for residents to help them cope with increasingly high rents in the Bay Area. The union has requested an eighteen-month contract, while the hospital has said it wants a three-year contract. The hospital would not agree to the union's proposed raise, Donovan-Blood said. That's despite the fact that, even with the bonus, over a three-year period, resident physicians in Oakland would still make about $16,500 less in total than doctors in the UCSF residency program in San Francisco. There, residents receive salaries of $60,623 in their first year, $62,518 in their second year, and $64,559 in their final year. Those wages include a housing stipend, which Oakland doesn't offer. Though average rents are higher in San Francisco than in Oakland, East Bay resident physicians pointed out that they are required to live close to Children's Hospital, which is located in North Oakland, surrounded by some of the most expensive rental markets in the region, including the Temescal and Rockridge districts and Berkeley. Currently, Children's Hospital Oakland also does not put any money toward a discretionary patient care fund. By contrast, at the San Francisco affiliate, resident physicians have access to a $50,000 annual patient care fund that they can use for equipment and to pay for medications and supplies for low-income patients. Highland Hospital in Oakland and San Francisco General Hospital also have patient care funds. In the absence of a hospital-financed fund, Children's Hospital Oakland residents have independently raised money for years. This resident-run fund, which currently has about $20,000 in it, has primarily helped families get certain medications they can't afford. But a more robust fund — especially one that the hospital financed and replenished each year — could go a long way in enhancing patient care, resident physicians said. That's why the union has asked the hospital to set aside $37,000 annually for a patient care fund in the new contract. That would be roughly 75 percent of what San Francisco Children's Hospital patients receive. 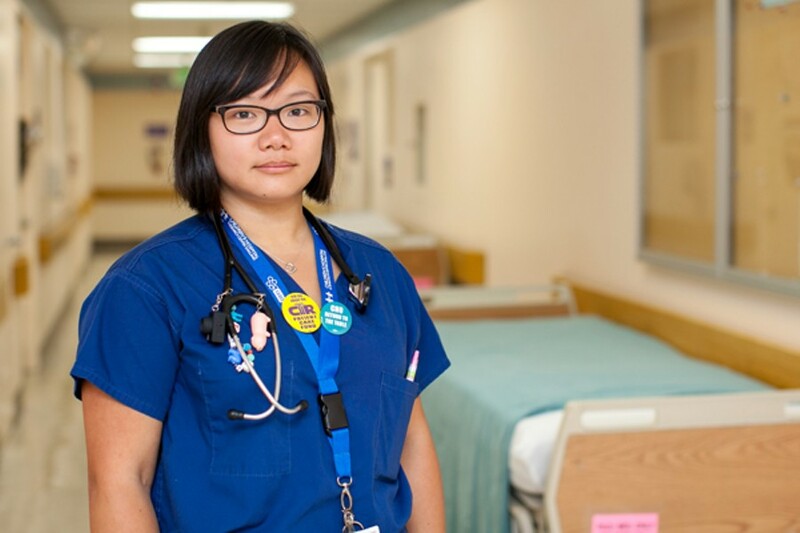 "The patient care fund is something the hospital has just neglected to recognize," said Ana Liang, a third-year resident physician in Oakland. Other Bay Area hospitals can more freely use their hospital-backed patient care funds to ensure that when patients are leaving the hospital, they have supplies they need, like medicines and splints. "It helps a family get from the hospital to home." With a limited fund in Oakland, residents said they can't use the patient care money for any special projects and in some cases can't afford to help patients with certain pricey medications. For example, Scott Sutton, a second-year resident, said that physicians can't use the patient care fund to help a cash-strapped family leave the hospital with an EpiPen — an injector that parents can use on their child in the case of a life-threatening allergic reaction (which could be useful for a patient who is at risk of having a second allergic reaction). "That's considered too expensive for the funds we have available," said Sutton, adding that in cases where families can't afford medications and the patient care fund can't cover the cost, doctors may decide to keep the patient at the hospital longer than they would otherwise. "Patients and families don't want to be in the hospital any longer than necessary. And they don't want to come back." That means, he added, that having a larger fund is a "no-brainer and a win-win for the hospital." Certain antibiotics can be very expensive for families as well, Liang said, noting that Children's Hospital Oakland sees many patients who lack private insurance or have no insurance at all. The hospital is a nonprofit "safety net" institution, which means that a majority of its patients are low-income residents, and it does not turn away uninsured patients. More than 70 percent of the hospital's patients have government-sponsored health insurance, largely through Medi-Cal, the state's version of Medicare. Liang said the patient care fund could also help the hospital replace equipment that gets broken, including otoscopes and ophthalmoscopes, which are the instruments doctors use to examine eardrums and eyes, respectively. She noted that some rooms that should have these instruments currently do not. Between the salary requests and the patient care fund, the union said it was only requesting roughly $250,000 in additional funding for the program over a year and a half. That amount, resident physicians said, should be manageable, especially considering the substantial boost from the $50 million Benioff donation earlier this year. Children's Hospital Oakland officials, however, argued that the facility is in a difficult financial situation and cannot afford the resident physicians' requests, despite the Benioff donation. The hospital said it currently spends more than $4 million annually on the resident physicians program, which is a substantial increase from the roughly $1 million that the hospital previously spent on the residency before federal funding cutbacks. Federal funding from a program that supports graduate medical education has decreased by about 40 percent over four years, according to the hospital. Hospital officials also point out that the institution serves a high percentage of patients on Medi-Cal, which has lower reimbursement rates than private insurers. "We are simply being good stewards," said Jones, the Children's Hospital vice president and lead negotiator in the contract dispute. "It's really looking at the global picture for all the services that are provided to this community." Regarding the patient care fund, Jones said that, although Children's appreciates the fundraising efforts of the resident physicians, the fund is unnecessary. "The hospital is responsible for meeting the needs of our families. ... We don't see there being a need to have additional discretionary funds." He said the hospital already has the systems and financing in place within its budget to address equipment issues and ensure that patients get high-quality care, including medications they need when they are discharged. Children's Hospital Oakland also invested more than $129 million in community benefits and charity care last year and budgeted $15 million annually for equipment and other projects related to improving patient care. Jones further noted that the hospital has a graduate medical education committee in which resident physicians have an opportunity to make recommendations about spending on services and equipment. In response to concerns about disparities between San Francisco and Oakland, Jones said: "We are two very separate institutions." He added that Oakland Children's Hospital physicians "are not UCSF employees." He said the Oakland salaries are in line with industry standards and argued that, without the housing stipend, resident physicians in the East Bay have higher base salaries than those in San Francisco, where rents are generally higher. Jones said the hospital last month proposed its best and final offer to the union, but declined to disclose those details. He added: "We are certainly bargaining with [the union] in good faith. We have been very honest and open." A hospital spokesperson also noted that the National Labor Relations Board recently dismissed the union's complaint, but Donovan-Blood from SEIU said the union plans to appeal that decision.